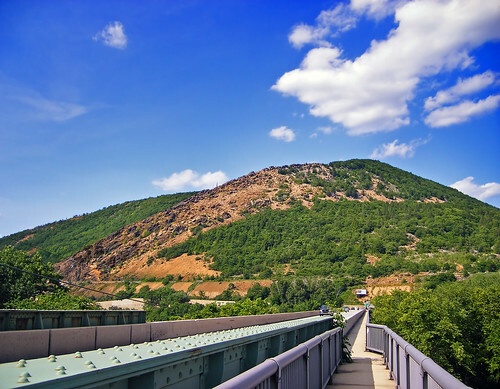 Blue Mountain at Lehigh Gap, Lehigh County–Northampton County line. In the foreground is PA Route 873 as it crosses the Lehigh River. The Appalachian Trail forms the walkway adjoining the road.